Xe Om, Pho: Dear Phil - Duck and Mango Curry? I mentioned in my last post that I've got a little bit more time on my hands than usual lately. I've been doing a little more blogging (as you see) and rather a lot more piano practicing, and just the usual amount of avoiding the housework, but with more fervent intensity. 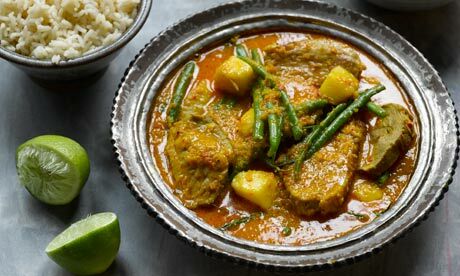 Today I have noticed a recipe that looks delicious on the Guardian for a duck and mango curry. Now, where to find duck bits in Saigon? I know you can buy entire cooked ducks in District 5 (probably the Cholon area). I'm sure you could get just a few pieces as well.